Pam represents clients in a wide range of domestic relations and family law matters including custody, divorce, marital property distribution, pre-nuptial agreements and support. In addition, Pam has a diverse civil litigation practice which includes asbestos, dental malpractice, nursing home negligence, and other professional liability claims, as well as automobile, premises liability, products liability, employment, and bad faith. 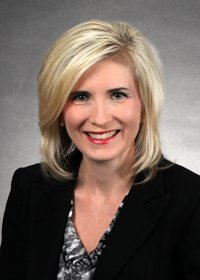 She has tried over 35 jury trials and routinely handles both uninsured and underinsured motorists arbitration matters. Pam has frequently been a guest speaker on ”Dealing with Divorce,” a local radio show, and routinely lectures at Continuing Legal Education seminars to practitioners on domestic relations matters of all types. Pam chairs the Family Law division of the firm.